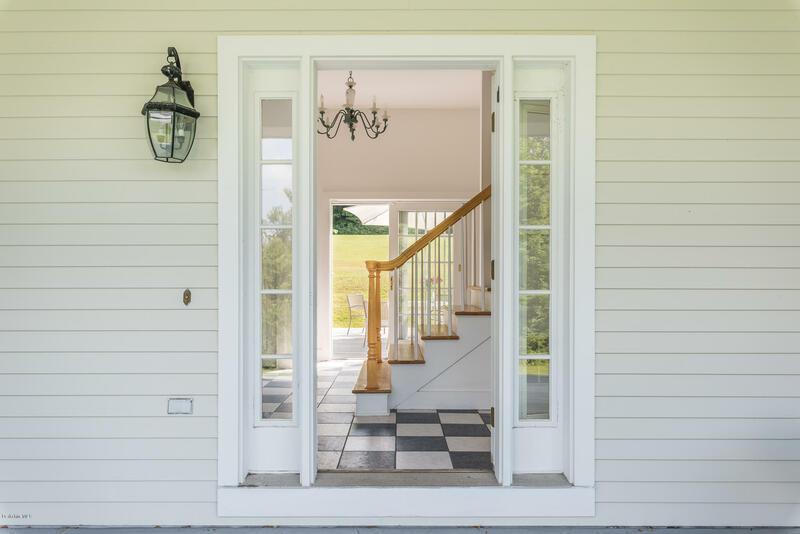 Beautifully sited on 5 rolling acres in an open meadow, this lovely house is architecturally interesting both inside and out, somewhere between contemporary and traditional. Step into the airy foyer of this expansive house and you will instantly realize it's all about the light. The great room has a wood burning fireplace, large windows and sliding doors to a cantilevered deck that runs along the south end of the house. The kitchen is bright and has sliders to the rear deck, which runs along the back of the house. There are 4 bedrooms on the first floor, one ensuite. The master suite occupies the entire second story and has a wood burning fireplace, a balcony overlooking the east meadow, and a large, light master bathroom. Lots of open land to add a swimming pool and tennis court.